Although Bhutan has lost 3-4 to Maldives during the 2nd-round pre-qualifying world cup match yesterday, the extraordinary performance of our Dragon Boys during the last few minutes has re-kindled a new hope in the hearts of their fans in the country and abroad. I know our boys have been playing under intense pressure both from their direct opponents as well as their fans especially in this round of the pre-qualifying matches. As amateur players representing a country where football is just beginning to gain momentum, I can clearly understand the degree of both psychological and physical pressure our boys must be going through to save our country’s name in the midst of highly professional and experienced opponents. Although we have consecutively lost so far during this round, the constant efforts and commitment of our boys to contribute to the team will never be forgotten. Although I don’t have much hope that we would win against any country in this round, I feel what our boys have been doing so far is enough at this juncture considering the economic constraints of the country to groom professional players and to expand the scope of the game. I know that they have been facing criticism from many people for their lack of proper team coordination and game tactics particularly after losing 0-15 to Qatar last month but despite all those public outcries and challenges, it’s amazing to watch them prove last night that they have still not lost their spirit. I was really happy when I learned that Bhutan Football Federation (BFF) had decided to return the original Jersey numbers to the Dragon Boys during this match because for some reason, I had always felt that they should be playing in the earlier Jersey numbers which brought them success. I had expressed my discontentment against the decision of the coach Noryo Tsukitate to change the Jersey numbers for Team Bhutan in my earlier article, A rough ride on the road to Russia. Today I am very happy with the current decision of BFF to assign them their original Jersey numbers and as expected, this seemed to do a magic when they scored three consecutive goals just within 5-6 minutes during last night’s match by Tshering Dorji (Jersey no. 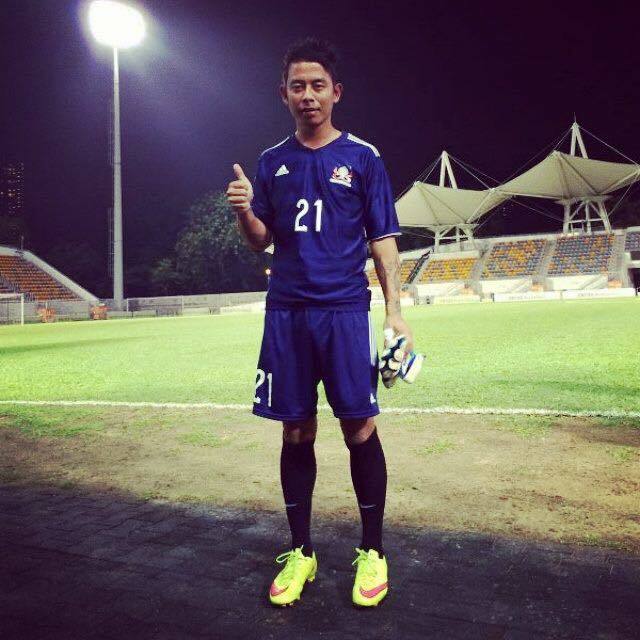 16), Chencho Gyeltshen (Jersey no. 7) and Biren Basnet (Jersey no. 17), respectively. Another hot news on the Facebook page of Bhutan National Football Team (BNFT) yesterday was that after conceiving 3 goals during the first half-time of the game, the Japanese coach left the ground refusing to coach the team and he was replaced by the Team Manager Hishey Tshering after which the team scored 3 goals during the last five minutes of the match. So whether you call it a coincidence or a miracle, the credits for the team’s final efforts and unexpected achievement go either directly or indirectly to the new interim coach who is believed to have energized and motivated the team through his personal influences. So does this mean that our boys would perform better with the national coach than an international coach? I guess this is also something that needs to be considered in the future. Who knows, they must be feeling more comfortable with the national mentor. If that's the case, I think professionals like the Japanese coach must be engaged in training the national coaches who can, in turn, mentor our national team. However, it’s a sad moment for the Japanese coach, who has indeed been trying his best to train our boys as per the international standards. But to the disappointment of all, it’s quite miserable to see that his mentorship could not yield the expected outcomes ever since he took charge of Team Bhutan. As Sonam Phuntsho, one of the TV commentators was explaining on BBS Television last night, I think Mr. Noryo was too qualified to coach our team. It seems he was expecting too much from our boys, which when they failed to demonstrate, could have caused some frictions between him and the team. This is my assumption though, because I heard Mr. Sonam Phuntsho commenting that Mr. Noryo is a highly experienced and qualified coach and that he has been expecting Team Bhutan to demonstrate the skills of experienced professional players. I had also heard the Team Manager Mr. Hishey Tshering commenting during Bhutan’s match against Qatar that Mr. Noryo is a serious person and hardly smiles. I feel factors like this one can also have a significant impact on the positive relationship of the team and its coach. Whatever the reasons for our failures so far could be, now it’s better to leave our disappointments behind and continue to take forward whatever good experiences we have accumulated from our failures so far. The world is watching and we are hopeful that our Dragon Boys would take our country to the horizon someday. But for now, what they need is our support and encouragement rather than our show of frustrations for their apparently less professional performances. I know many of them are making a lot of sacrifices: Tshering Dorji, the first goal scorer of yesterday’s match is missing one academic year at the Royal College of Thimphu, Captain Karma Shedrup Tshering, the pilot with Druk Air is missing his flying hours and many others have pushed aside many priorities of their life just for this game because we don’t have full-time players as of now. So congratulations to Team Bhutan for maintaining the same spirit despite several defeats. I wish you the best of luck in all your future endeavors. 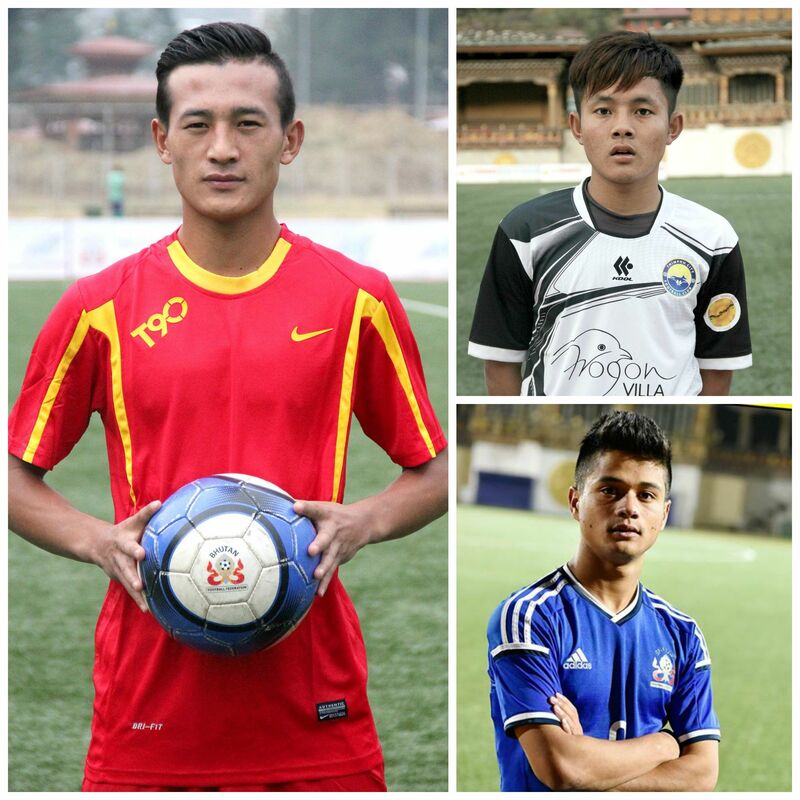 May the Guardian deities of Bhutan bless our Dragon Boys and Team Bhutan forever! Yes, I saw no celebration in the eye of Maldives though they won. And we celebrated for spirit of our players, otherwise who could be in hope to continue the game after 0:4 beat in first half. Again, as you mentioned, there are some Bhutanese not happy with our players, so a usual do continue to write about our players and make them realize that our amateur players are giving tough battles to those tall professional ones. Nice to go through your writing. Thank you so much for going through my article and taking trouble to leave your comment. This is what keeps me motivated and charged to continue my blogging passion. For an ordinary blogger like me, there is nothing more happy than to receive comments from followers like you all! So once again, thank you so much for checking out my blog and please do come back!